In 1895, a professor by the name of Wilhelm Conrad Rontgen discovered a source of invisible rays which were capable of penetrating materials not normally translucent to ordinary light. Not only this, but these mysterious rays also caused certain chemicals to fluoresce, notably barium platinocyanide. Not creative in choosing names, Wilhem temporarily called these new rays ‘X-Rays’, a name that sticks to this day. It doesn’t take long for this news to spread, and not too long after speakers at the Grand Cafe on the Bulevard Des Capucines improvise a show to fascinate a crowd of 33 spectators, where their invisible bones are made to cast a shadow on a shimmering screen by means of a Crooke’s tube and rumchoff coil. Similar shows of this nature were held by the Lumière brothers; the men who presented the first film in the history of cinema. In fact, the soon-to-be great filmmaker Georges Méliès assists these demonstrations. 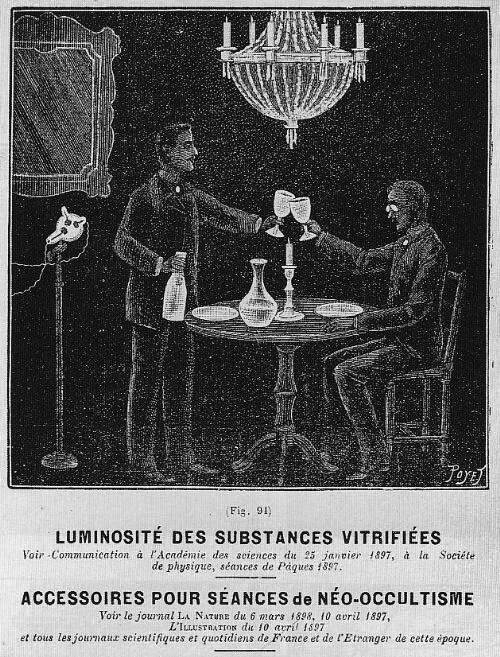 Soon, others exploit this new invention, and only a few months’ time after rontgen’s discovery sideshow men begin to host “neo-occult sessions” during which painted items are made to fluoresce in the presence of a wide x-ray beam. Often these objects were skeletons or items of a similar deathly nature, and fortunes were told to those who paid their sum. These sessions became so popular that some retailers even began to stock items related to this type of service. This practice peaked circa 1900. 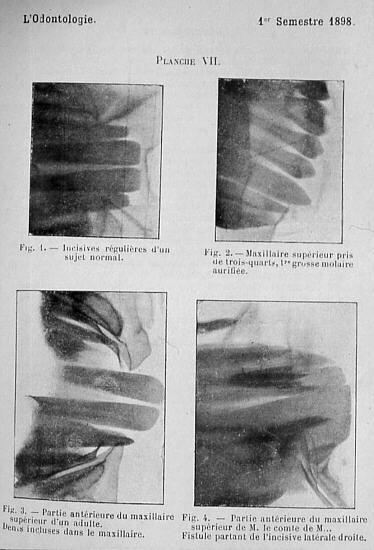 Throughout 1896, x-rays gradually are applied to nonscientific applications. Despite some initial opposition, x-rays find their place almost instantaneously in the world of medicine and surgery. A dental radiograph taken by Dr. Walkhoff, 14 days after Rontgen’s paper was published. 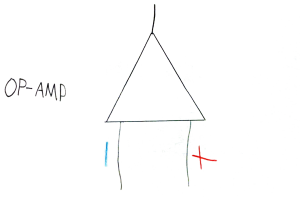 Walkhoff reported that the 25 minute exposure “was a real torture, but I felt great joy in seeing the results when I realized the importance of Röntgen radiation for our specialty”. In the USA, many doctors send their patients to be radiographed in physicists’ laboratories. Wolfram Fuch, an electrical engineer employed by one of these laboratories, had conducted more than 1400 radiographs by late 1896. The first practitioner to use x-ray therapy is likely Dr. Leopold Freund of Vienna, where his first patient was a five year old girl with a hairy beauty mark on her back. In December 1896 she underwent an x-ray treatment 2 hours per day for 16 days, where after 12 days the hair began to fall out, but her back became horribly inflamed. After this incident, Freund limited subsequent exposures to 10 minutes. 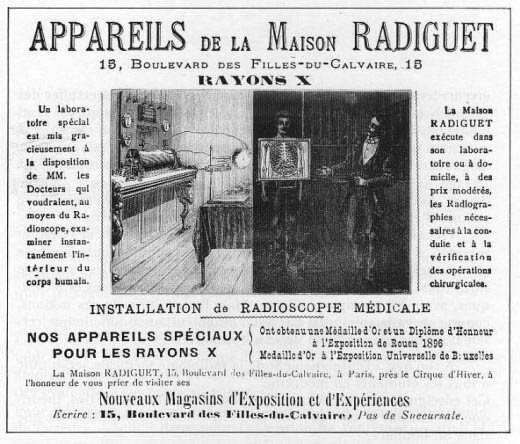 In 1897 Béclère created the first in-house radiology laboratory in Hôpital Tenon, where x-rays were usually performed by Richard Chauvin and Félix Allard. Still, at that time any engineer, builder, pharmacist, merchant or wine dealer could open their own “x-ray laboratory”. Before 1900 it was often assumed that anyone competent enough to be a good photographer could interpret a radiograph. 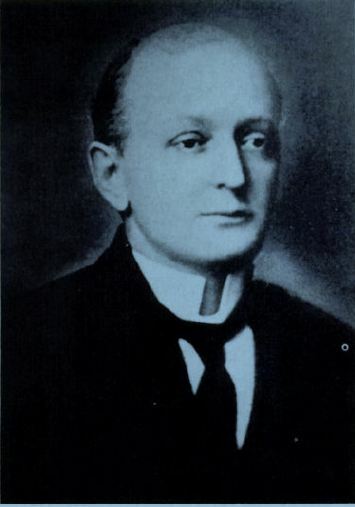 In September 1896. A man was shot in the head but was not killed. Only after 3 hours of irradiation is the bullet located. In November 27, 1897, fluoroscopy was used to help deliver a newborn child.exposure. In June 1896, the famed Thomas Edison developed a Calcium Tungstate flouoscope which allowed for bright, real-time observation of a patient’s body. Edison clearly instructs that the success of this method depends on the power of the Crookes tube used, that is to say, the voltage used across the tube. Thus, nearly 90% of these x-rays make it to the face of the unfortunate doctor preforming the procedure. Later that same year, of interest in their effect on skin, x-rays were used upon the head of a child for 1 hour at a time, where “within 21 days after the experiment, the hair began to fall at the site of penetration over a diameter of about two inches, and the skin is healthy and the patient feels no pain. There was no damage there. There is no concern then,” the doctor preforming this experiment proposes, “that x-rays may be used as a safe and effective method of hair removal”. This ‘fact’ would later be exploited by a man named Albert Geyser, who in 1920 made a [temporary] fortune by selling x-ray machines as hair removal systems. 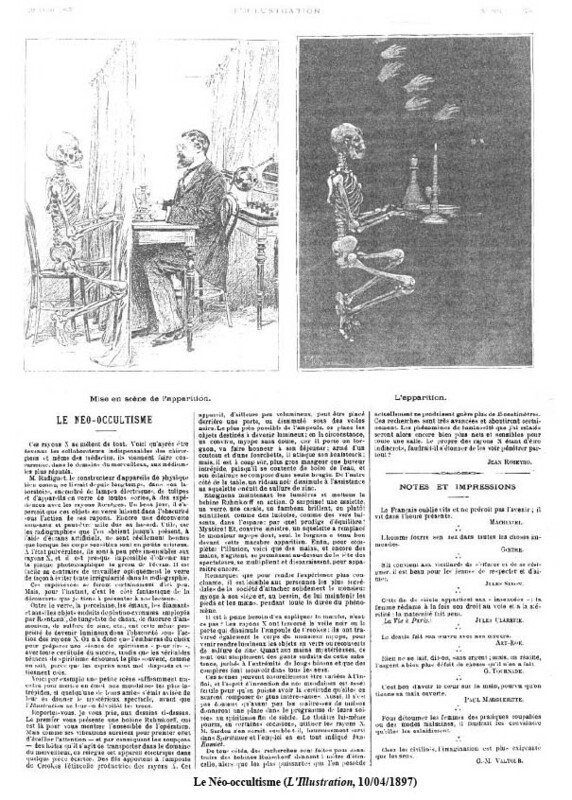 In November of 1896, an article titled “the misdeeds of x-rays’ appeared in Nature, where the case of an x-ray exhibitor in London was studied. During the year’s summer, a man was paid to publicly demonstrate x-rays at various fairs for for several hours a day, where he soon developed some curious ailments. Interestingly, not much attention is paid to the article. The first man to die as a direct result of x-ray exposure is likely Clarence Madison Dally, an assistant to Thomas Edison. 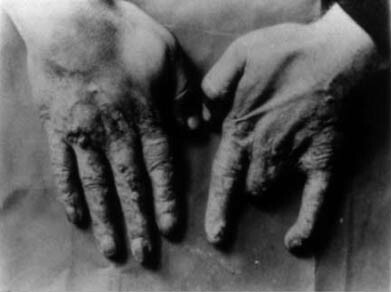 Clarence tested every x-ray tube he produced on his hands, which, over the course of several years caused him to develop a cancer of the hand. In 1900, despite several futile amputations he died of mediastinal cancer; an event that reportedly caused edison to abandon all experimentation with x-rays. In 1903, when asked about the event Edison replied, ‘Don’t talk to me about X-rays, I am afraid of them”. 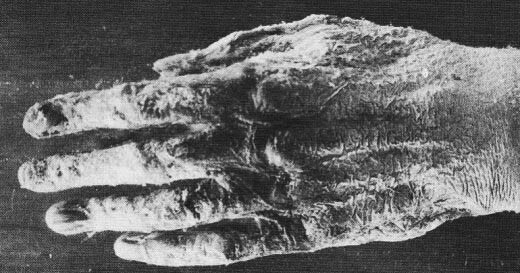 In 1900, early radiologist Dr. Mihran Kassabian began to share his concerns regarding the x-ray as a possible irritant after noticing burns developing on his hands. Over the years, he becomes increasingly weary of x-rays and urges for more caution and regulation in their use as a therapeutic technique. 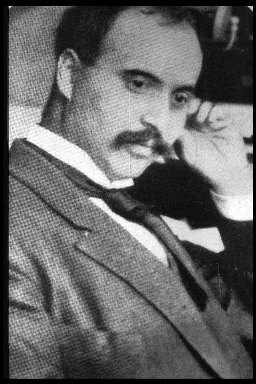 Somewhat ironically, he eventually developed a serious cancer of the hands, and succumbs to Dally’s fate in 1910. By now, some are beginning to understand the dangers of x-rays and steps are taken to ensure radiographers are safe. Lead glass bowls are placed around x-ray tubes to shield excess radiation, and the invention of the coolidge tube helps to make exposures faster and safer for all parties involved. Still, the public is largely unaware of their danger. For practitioners of quackery, x-rays became a godsend. For millions, the mysterious ray offered the promise of pain relief, disease therapy, addiction curing; even treatment of skin blemishes. 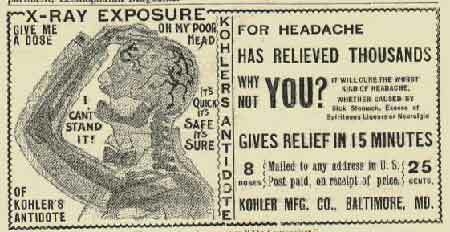 For only a few dollars, you too could be cured of sexual impotence! For some time they were even viewed as a new form of artistic photography, and journalists were encouraged to use them as such. Law enforcement agencies, interested in inspecting packages and luggage, bought these new ‘cameras’ by the dozens. It was not uncommon for them to be used frivolously, though. 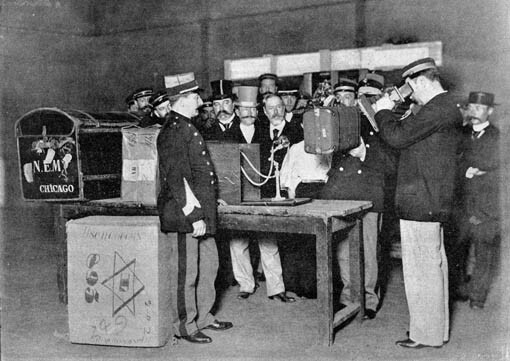 ‘Human Telescopes’ –a crude form of fluoroscope, became fun party toys among the elite, where they offered a new use for those crooke’s tubes which were ever-so popular novelties back then. 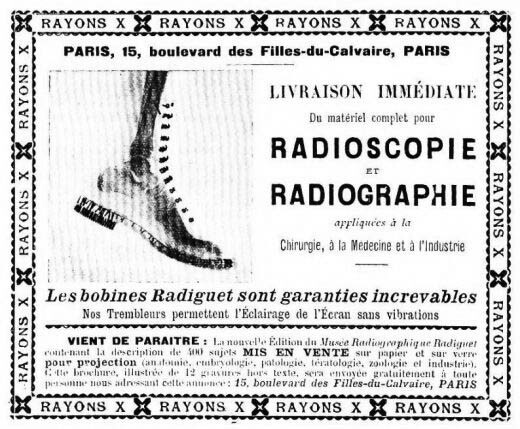 By far though, their most common non-medical use was the x-ray’s use as a sales gimmick in shoe stores. Not too long after its invention, every department store worth their salt had a shoe fitting fluoroscope; a device which allowed shoe salesmen the opportunity to “find the perfect fit” for their customer. In reality, these machines did little to help fit the shoe. Interestingly, it wasn’t the x-ray which made known the fact that ionizing radiation wasn’t something to play with. Rather, it was the mishaps of the similar novelty of the time, Radium, which put an end to most of the nonsense. Radium is an element that emits huge quantities of alpha particles and gamma rays; which, like x-rays, “Had the power to cure any ailment”. As such, it was added to everything from wristbands to drinking water and was bought by the public en masse. Circa 1917, thousands of women were working in shops to paint the dials of watches with radium-containing luminescent paint. Ideally, this wouldn’t have been anything special, but unfortunately paintbrushes lose their shape after a few strokes. To keep them sharp, women would use their mouths to adjust their shape. 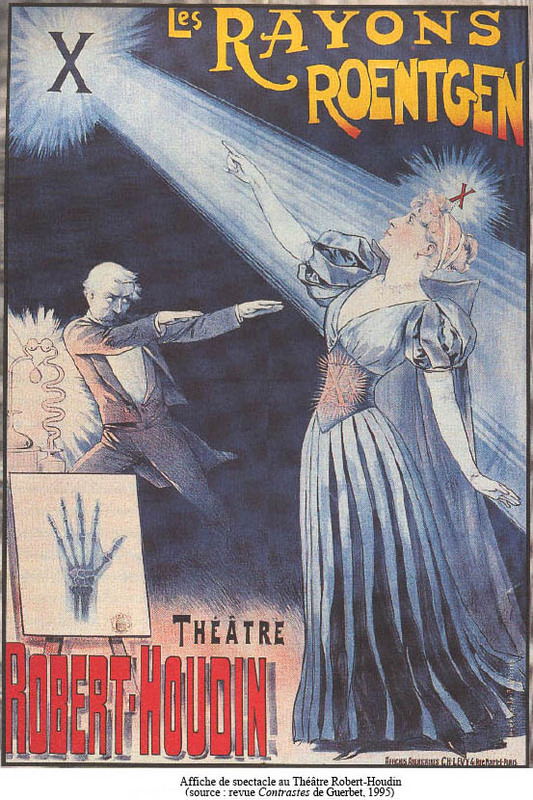 Can you tell me where you found the information about Lumiere and Melies assisting x-ray demonstrations? 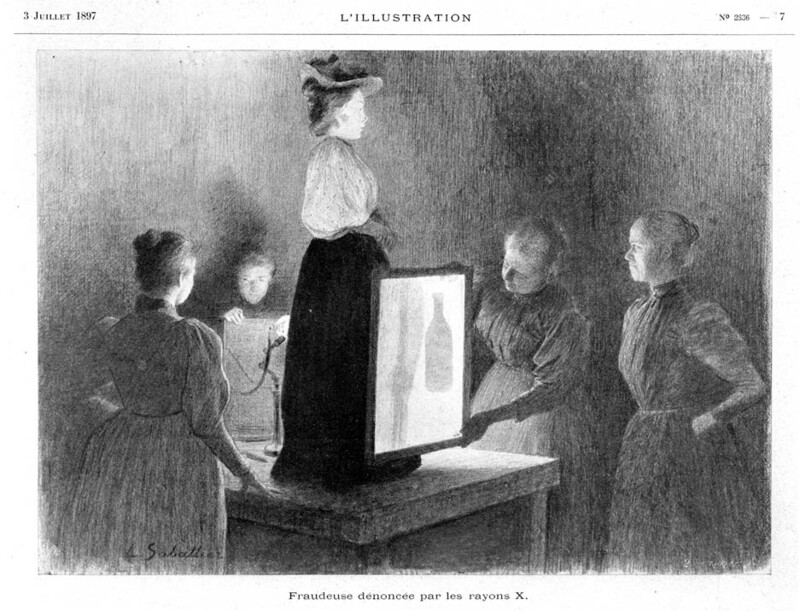 I am aware that Melies made several films about x-rays in the 1890s, but I was not aware that they assisted in fluoroscope demos. I absolutely LOVE your wesite. Totally inspired me for a lecture I am about to give.